"With nature all around and wildlife abound." Our Upper Michigan Lake Front Cabin Rentals come with an inclusive boat and canoe rental. Discover the wonder and beauty of South Manistique Lake! 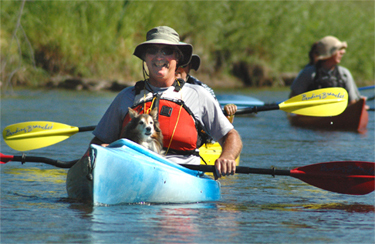 Curtis MI offers a wide variety of outdoor Upper Michigan Activities. We have over 20,000 acres of area lakes to enjoy. Pure Curtis Cabins is open spring, summer and fall. Fishing, hunting, mushrooming, canoeing, kayaking, boating, sailing, swimming, jet skiing, and ATV & ORV are just some of the area favorite recreational activities for guests. A 14ft aluminum boat and canoe is inclusive with your Pure Curtis Cabins rental. Shown in the photo above, area visitors enjoy canoeing through the Seney National Wildlife Refuge via the Manistique River. This is a really peaceful and unique experience. 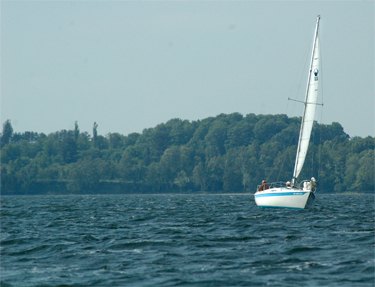 Water recreation is our strongest asset with Manistique Lakes Area being comprised of six major lakes: North Manistique Lake at 1,722 acres; Big Manistique Lake at 10,130 acres; South Manistique Lake at 4,001 acres; Milakokia Lake at 1,956 acres; Lake Ann Louise at 311 acres; and Millecoquins Lake at 1,890 acres. With numerous other small lakes in the area, a visitor has well over 20,000 acres of inland lake water to enjoy, in addition to the great lakes of Superior and Michigan, and hundreds of miles of rivers and streams! The Lakes provide a variety of cool water fish which include: Muskie up to 40 lbs., Northern Pike, Walleye, Large and Small mouth Bass, Perch, Bluegill, Sunfish, Rock Bass, and Bullheads. The rivers and streams provide Brook, Brown, Rainbow, and Steelhead Trout, plus great smelt runs in the spring. 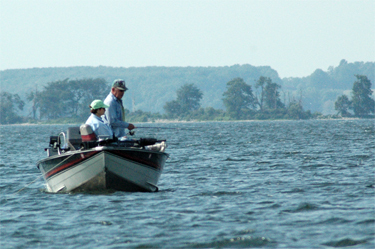 Special regulations apply - see DNR Fishing Guide for details. Most of the area lake waters are 30 ft. or less, so temperatures warm early and are very pleasant for swimming, water skiing and other activities. Curtis, MI also offers some of the best and most varied hunting in the state. We have 1000's of acres of State, Federal and Corporate lands open to the hunter. Hunters can enjoy a wide range of species: Bear, Deer, Game Birds, Waterfowl, Trapping & Fur Harvesting, and Small Game. To obtain information on hunting regulations and permits, please »click here for the Department of Natural Resources. ATV and ORV recreational activities are the fastest growing recreational activity in the Upper Peninsula of Michigan! There are four types of Off-Road (ORV) trail riding opportunities throughout the State of Michigan: Motorcycle trails, ATV trails, ORV routes, and scramble areas. Please check with the Michigan DNR website to find updates because these laws do often get updated in different areas of the state. 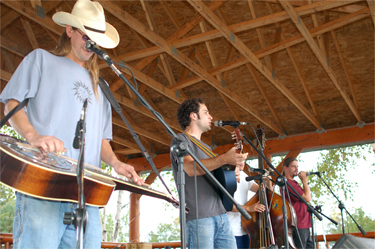 Located just across the street from Pure Curtis Cabins, The Erickson Center for the Arts, formerly known as the Curtis Community Arts Council, is a Michigan nonprofit corporation dedicated to enriching the mind, body and spirit of individuals of all ages by providing educational, cultural and physical activity opportunities in Curtis, Michigan. Along with an incredible new building, the Erickson Center, the property also provides a park, band shelter, large landscaped grounds, walking trails, Administration Building, and the Helen Newberry Joy Hospital Wellness Center. If you like casinos, Upper Michigan has you covered. We are located near the following casinos. Many of these casinos offer great restaurants and special entertainment. Although we are closed during the winter, the area offers many wonderful snow related activities. Ice forms in early December and provides a great source for cold weather sports activities (such as icefishing) from late December until spring break in mid April. The last Saturday in April brings the opening of Trout season and the Smelt runs. Snow shoeing, hiking, cross-country skiing, ice-skating, and dog sledding are just some of the other great activities we have here during the winter months. We also have many winter events so be sure to check out our Calendar of Events link to the Chamber.